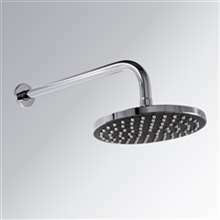 The Fontana shower heads offer a lot of amazing products and choices to upgrade your bathroom design. You definitely will have a difficult time picking from the wide array of products such as LED Shower Heads and Oil Rubbed Bronze LED Showerheads. 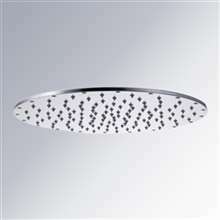 Just consider the size and the price of the LED shower head and give it a try. The price is pretty near the price of an ordinary one. 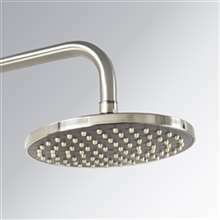 The most customers of Fontana like bigger shower heads better because it is a cost-effective purchase. It is a good product that should last you for many years to come. 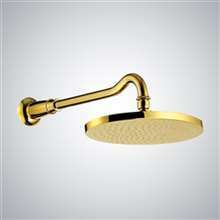 LED Shower Heads with an elegant oil rubbed bronze finish and lovely gold plating finish of great quality are really worth the purchase. 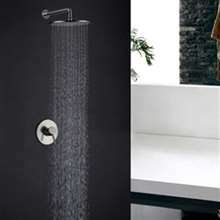 Mysterious Oil Rubbed Bronze LED Showerheads are inspired by luxury boutique hotels bathroom design. The intriguing LED lights are the star of the show; they give off the nice soft glow and work really great. Customers want to buy LED shower heads because of the color changing LED lights feature which strikes the people the most. 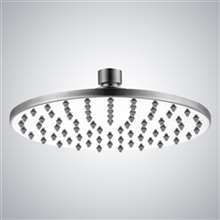 LED shower head wider than traditional shower will offer you spa-like experience. 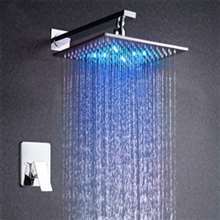 Buy one from the Fontana website, set it up and enjoy relaxing falling water with the grand LED lights. 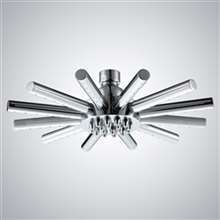 Our customer service will help you decide on the type of shower head which is one of the best of its kind available right now. The LED colors change depending on the temperature so it's a really neat indicator of how hot the water is. Shower heads size available at Fontana website is form 8" to 40", and you can select the shape and dimensions of an item according to your bathroom size. 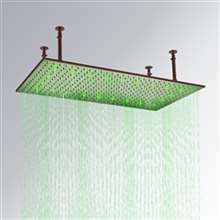 The unique style of the ceiling mounted LED shower heads appeals to demanding customers who are looking for a sleek futurist design.